This ALMA image of an enormous sunspot was taken on 18 December 2015 with the Band 6 receiver at a wavelength of 1.25 millimeters. Sunspots are transient features that occur in regions where the Suns magnetic field is extremely concentrated and powerful. They are lower in temperature than their surrounding regions, which is why they appear relatively dark in visible light. 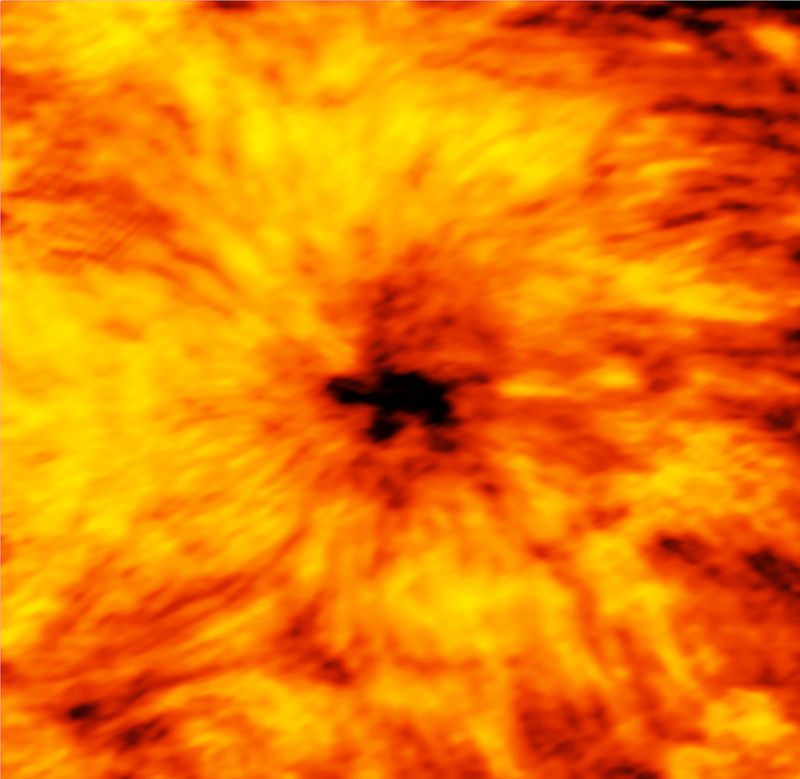 The ALMA image is essentially a map of temperature differences in a layer of the Sun's atmosphere known as the chromosphere, which lies just above the visible surface of the Sun (the photosphere). The chromosphere is considerably hotter than the photosphere. Understanding the heating and dynamics of the chromosphere are key areas of research that will be addressed by ALMA. Observations at shorter wavelengths probe deeper into the solar chromosphere than longer wavelengths. Hence, band 6 observations map a layer of the chromosphere that is closer to the visible surface of the Sun than band 3 observations.